These one-of-a-kind blue sapphire and diamond earrings are dramatic and original. 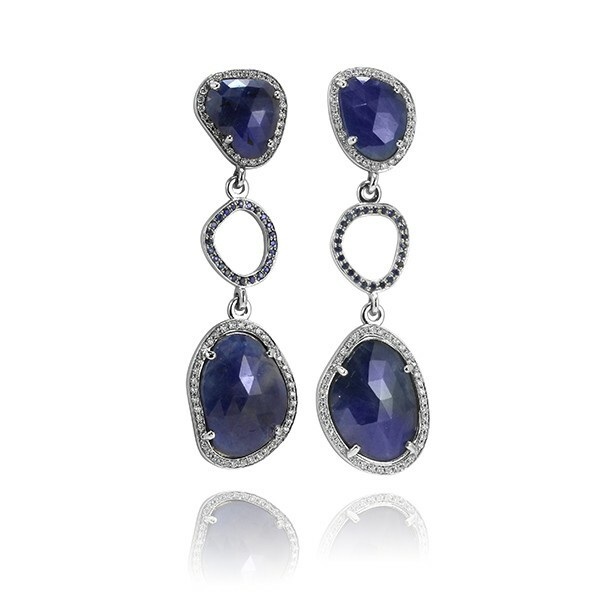 They're made of four sapphire slices surrounded with white diamond pavé, with two blue sapphire pavé circles in between. The total carat weight of the sapphires is over 27 carats, and there are approximately 0.61 carats of diamonds in the pavé.